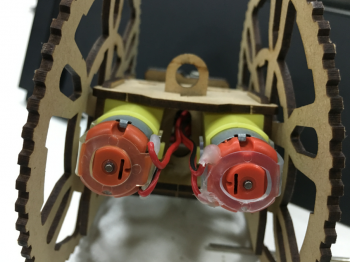 This flame wheel robot is a two-wheeled robot laser cut from 3mm MDF. It is designed using Luban lock assembly to use as few screws as possible allowing a very easy assembly process for younger users, while being beneficial to developing logical thinking. This product has agile mobility using two wheels, with humorous and fun movement patterns. The unit can be expanded with other DFRobot modules and can be used in a number of different user scenarios, including education. Connect a USB cable and upload the following code to your Flamewheel using Arduino IDE. 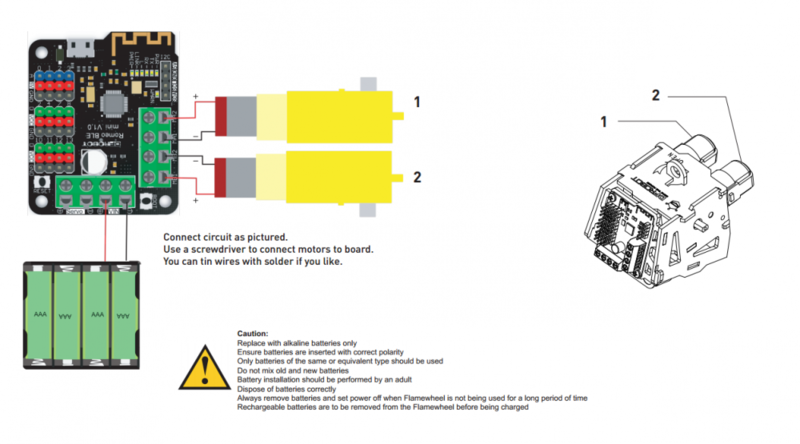 Please note you will need to install Romeo BLE Mini Arduino Library and Goble Arduino Library first. You will now be in control! Q My Flamewheel doesn't go forward or backwards - it just spins. What should I do? A Try swapping the + and - of one of the motor wires. This will reverse the direction of one motor. 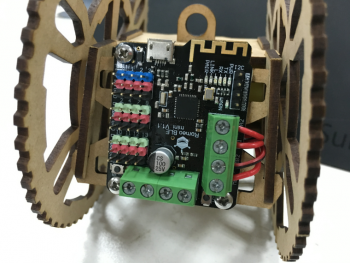 Get Flamewheel - A 2WD Remote Control Robot from DFRobot Store or DFRobot Distributor.